Hair is actually dead material when it leaves it’s root – otherwise it would hurt very much when the hairdresser works with his scissor. 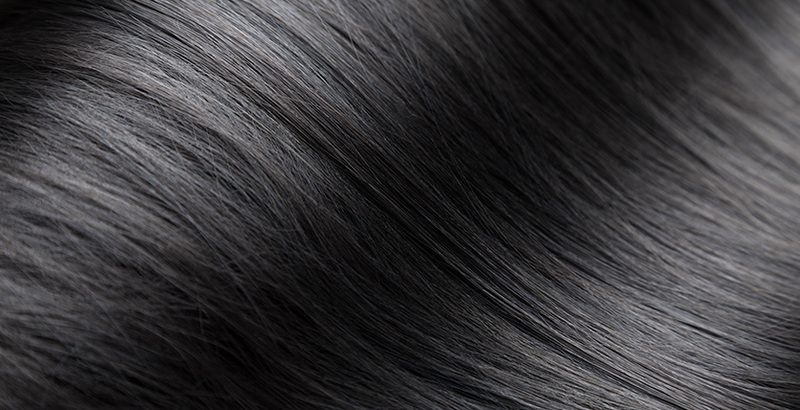 On a normal scalp there are about 100-150 thousand hair fibres. Hair consists mainly of keratin, which is also responsible for the elasticity of fingernails. A single hair has a thickness of 0.02mm-0.04mm, so that 20-50 hair fibres next to each other make one millimeter. Hair is as strong as a wire of iron. It rips after applying a force equivalent to 60kg, after it stretches itself for about 70%. The root of a hair fibre sticks in a bag in the skin. The fibre is pushed out of this bag about 0.35 mm per day, making an average growth rate of just above 1 cm i.e about half of an inch per month. The growth rate and lifetime is however very much related to the individual person, his/her age, his/her diet, environmental factors, etc. The lifetime of hair is responsible for the maximum of hair length you can have. Waist length hair takes about 6 years to grow out from a short hair cut, periodic trims included. If your hair has a lifecycle of 2 years, you will never achieve a nice waist length mane. Baby hair begins to grow around the third month after conception within the womb of the mother. Trichocysts are first formed. They develop into hair follicles as the fetus grows and then become downy hair several centimeters long when the baby is born. The total number of hair is determined before the baby is born. After that, the number of hair never increases; it just decreases. The number of hair greatly varies for each person and makes up one of the natural characteristics of each person when they are born. We should take good care of our hair.